a legal doctrine that promotes freedom of expression by permitting the unlicensed use of copyright-protected works in certain circumstances. Section 107 of the Copyright Act provides the statutory framework for determining whether something is a fair use and identifies certain types of uses—such as criticism, comment, news reporting, teaching, scholarship, and research—as examples of activities that may qualify as fair use. Our licenses do not affect freedoms that the law grants to users of creative works otherwise protected by copyright, such as exceptions and limitations to copyright law like fair [use]. 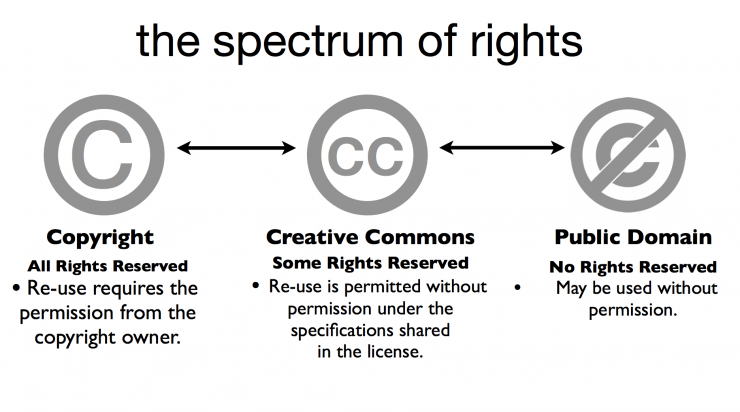 Creative Commons licenses require licensees to get permission to do any of the things with a work that the law reserves exclusively to a licensor and that the license does not expressly allow. So why can’t you just throw your creative work to the winds and let anybody use it any way they choose? The simple answer is you can…but then you have no control over how other people use it, and whether they credit you. Even more to the point, you may not be able to prevent others from making money off of your freely donated work by licensing it to others. Photographer Carol Highsmith recently brought a lawsuit against Getty Images and others alleging just that. According to her complaint, Highsmith “has made her photographs available to the public for free through the US Library of Congress” since approximately 1988. 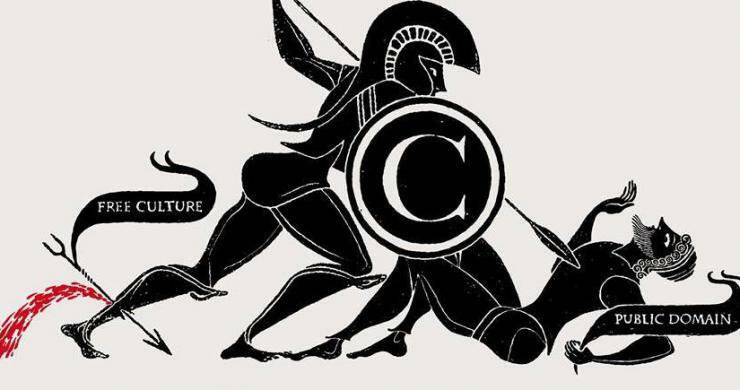 The Battle of Copyright by Christopher Dombres. As you can see, the issue of what is protected by copyright law on the Internet is a sticky one, even for those who are in the copyright business. So, for your information (and in conclusion): Creative Commons is one way of using images and texts, and to make your own work available for use by others. But even their licenses are not limitation-free.